I chose to have mine with the (also new) supergrain salad, which was a very tasty and nicely textured side. 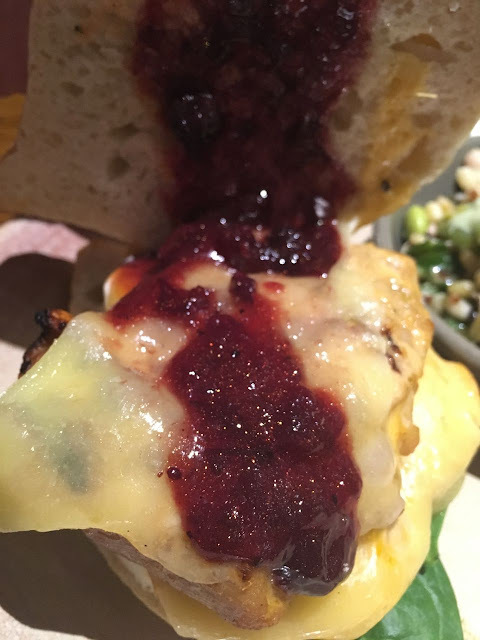 Other than the fruit and visual appeal of glittery berry sauce on my food, the Peri-Berry Burger comes with two pieces of chicken (thigh and breast), cheese, baby-spinach, mayo and is served in a Portuguese bread roll. There was a good dollop of sauce on my burger in all its glitter filled glory. The chicken is still cooked to taste, and I went for medium heat. The spinach is a little lost, but made me feel better having some greens on my plate! The side dish helped too, proving you don’t have to order chips! 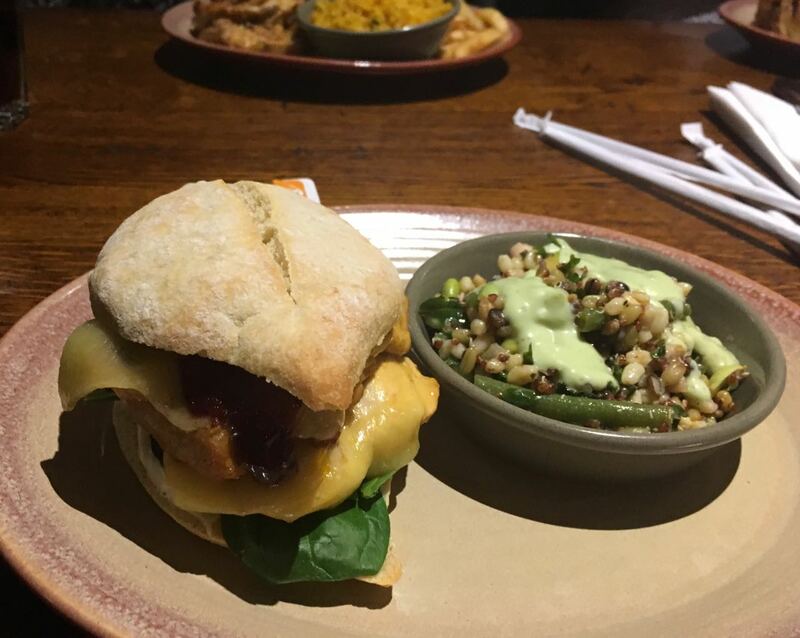 The chicken was cooked as it always is in Nando's, till it is still moist and full of flavour and spices, and this was perfect. There was lots of chicken too, which meant this felt filling and meaty. The addition of the sweet and spicy sauce was a complete triumph. The taste of berries, including cranberry, complemented the flavours to perfection. Sweet, spicy and an absolutely lovely mix of flavours. The novelty of a sparkly sauce might draw you in, but the berry flavour combination with the spicy chicken will be the reason you’ll want to order it again. There is so much more to this than its Christmas novelty, the glitter part is just for fun, the flavour sensation is what makes it!